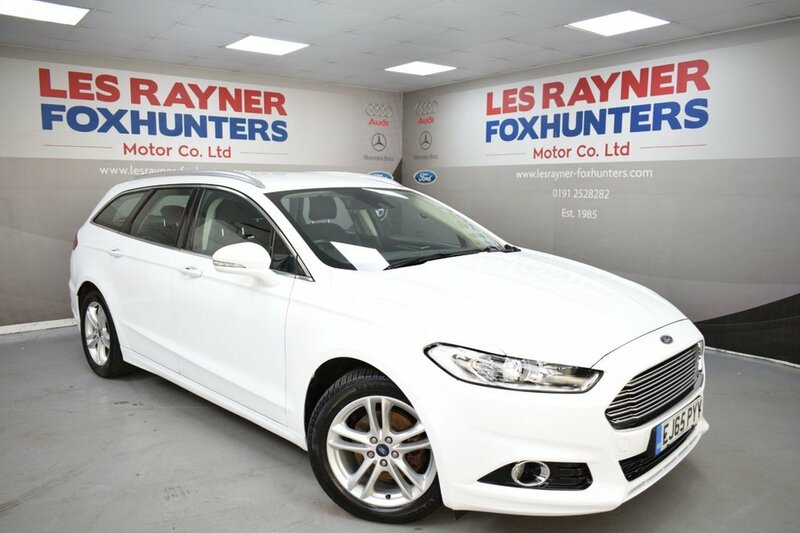 EJ65PYY FORD MONDEO 2.0 TITANIUM TDCI 5d 148 BHP- 52k miles -The Mondeo Titanium has undergone massive changes With the new facelift exterior and interior. It boasts a great specification of 17" alloys, electric folding mirrors, rear parking sensors, stop start, voice command, dual zone climate, Sat Nav, Cruise control, heated windscreen, DAB radio, Bluetooth, electric windows and remote central locking. The Mondeo is cheap to tax due to is massively low emissions ! Superb MPG. Great value for money. 12 months	£30.00 MPG Extra	72.4 MPG Combined	65.7 MPG Urban	57.7 TO VIEW ALL OUR STOCK VISIT www.lesrayner-foxhunters.co.uk We are a family run business that has been established since 1982.All of our cars are HPI clear and come with a 12 month MOT, Full Service and Pre Delivery Inspection so you can buy with confidence. Personalised Videos and Facetime available! LOW RATE FINANCE! BESPOKE HIRE PURCHASE, PCP & LEASE PURCHASE PACKAGES! PART EX WELCOME! NO SALES ADMIN FEE!